Traveling along the Romantic Road, we first reach Harburg, one of the oldest, largest and most well preserved castles in Southern Germany, completed in the late 11th century. Continuing along through Swabian Dinkelsbühl, we arrive in Rothenburg, the most perfectly preserved medieval town in Europe. There will be time for sightseeing, lunch and shopping. Then we return to Munich via the Hallertau, the largest hop-growing region in the world. The tour was good. Harburg Castle was nice but we spent 30 minutes there after the tour was over and there was nothing to do- 15 minutes would have been fine for a bathroom break. We spent a little less than 3 hours in Rothenburg. I would have preferred more time. You covered all the bases of location, comfort, effort and information. Both driver and tour guide were so nice and helpful. It was evident that my husband could not walk distances so they ordered a taxi to not only take us to the center of town but pick us up and deliver us back to the bus. It is great to hear that our tour guide went out of their way to accomodate you and your husband. Thank you for choosing Gray Line for your Romantic Road tour experience and we hope to see you again. 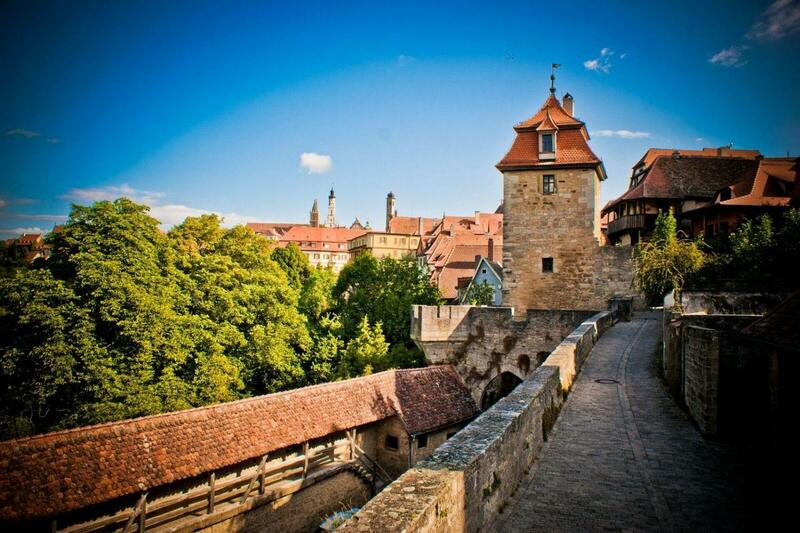 Th iconic view in Rothenburg was under construction and Gray line did not make a note in their sight !! We apologize that the view in Rothenburg was under construction. Unfortunately, we cannot control the scheduling of this constructions and we are not always aware of it. We hope that you were still able to enjoy other parts of the tour!